When you’re looking to start a business, you should leverage your network in every possible way you possibly can. You can become a successful business owner. All it takes is an innovative product, service or idea. You should carefully research all the associated costs before beginning a new business venture.Starting a business is a multi-step process that can feel overwhelming when you’re on your own, but we’ll make it easy to stay organized and on track while you start your business and achieve success. We’ve come up with a few actionable steps that you can take to get you headed in the right direction when it comes to starting a business. A Business plan is very important before starting a business. A business plan will help you figure out how much money you will need in order to get started; what needs to get done when, and where you are headed. In fact, the business plan does not have to be a formal document at all if you don’t need to present your plan to outsiders.Even if you do not think you need a business plan, you should go through the planning process anyway. The process of doing so will help to uncover any holes or areas that have you have not thought through well enough. 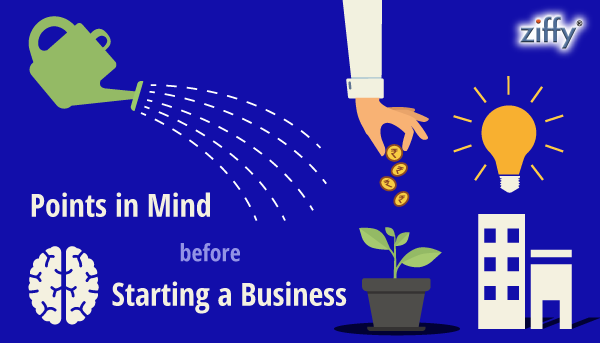 Regardless of what start-up expenses you will incur in opening a new business, you will need some sort of initial financing until your business is able to produce a profit. There are a number of ways to obtain financing to cover initial start-up costs. You can obtain small business loans with low financing rates. Make sure you do your research on the types of loans that your business could be eligible for. You should focus on saving money wherever possible. You may want the best of everything, but when you’re starting out it’s okay to buy secondhand. If you’re renting an office space, purchase used furniture and equipment. You can even use your expertise in your field to barter for services with other companies or individuals. If you are launching a new business you always need to concentrate on building your brand so that people can know you and it is easy for you to achieve your ROI. Cloud telephony is one of the best way of Brand building. If you adopt IVR services it will cut your cost of keeping a full time receptionist also. IVR services is a feature which will help you in building your brand name by giving satisfaction to the Customers. A successful businessman is the one who reaches out to the audience, leaves a lasting impression and continues to engage customers and as your business is different why not present it in a different way to the audience.